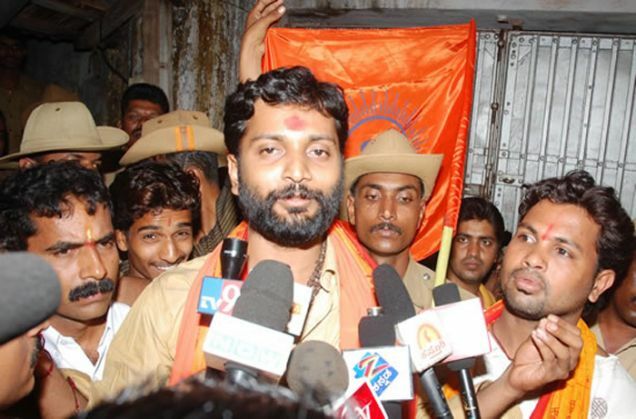 Former district unit president of Sri Ram Sena, Prasad Attavar was arrested by the Mangaluru police on 3 September for allegedly posting inflammatory messages on social media after murder of Kannada scholar MM Kalburgi. S Murugan, commissioner of police told TheHindu that arrest of Attavar was not related to the investigation of MM Kalburgi murder case. The police has arrested him to question regarding his posts on Twitter and Facebook. Kalburgi was shot dead by unidentified men on 31 August. He had earlier received threats from extremist groups for his comments against superstition and idol-worship. The police released sketches of two murder suspects on 2 September.